Web cameras are transforming how environmental monitoring is conducted. Video data is being used for applications related to transportation and commerce, preparedness and risk reduction, and stewardship of coastal resources. The Exploring Applications, Opportunities and Challenges to using Webcams for Environmental Monitoring Workshop hosted November 14-15, 2018 brought together experts to discuss on web camera data, its challenges, and the best practices for utilizing camera data for environmental monitoring. A workshop report is in development. Please stay tuned for more information as it becomes available! 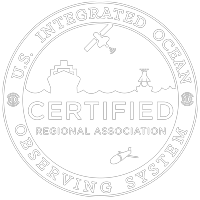 This workshop is part of the NOAA National Ocean Service funded WebCam Application Testbed (WebCAT). Click here to learn more. Please contact abbey@secoora.org if you have any questions.